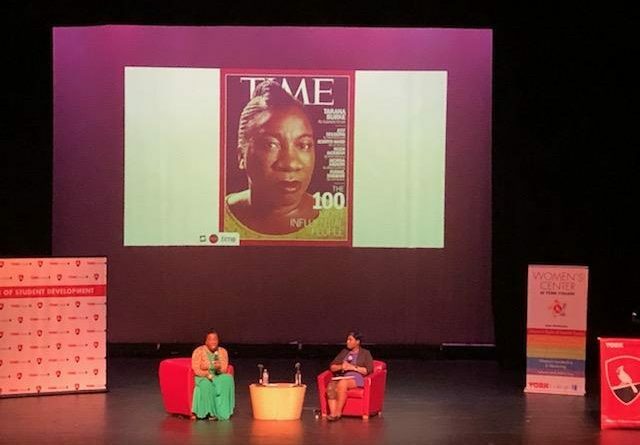 Tarana Burke, the founder of the #MeToo movement visited York as part of the Women’s Center’s annual Women’s History Month Colloquium. Ebonie Jackson, the director of the center headed the discussion. 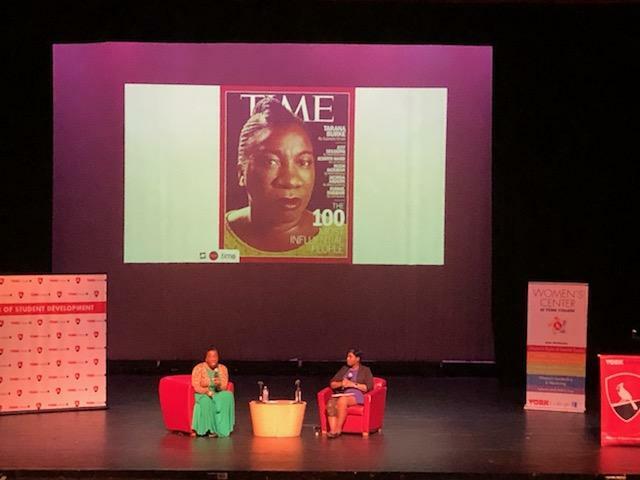 #MeToo was originally started to uplift the survivors of sexual violence within communities of color, Burke said in an introductory clip at the event. However, in the recent years it has expanded to include adults and people of all races and genders. “This is a movement about giving people access to healing, to make sure the most marginalized amongst us have an opportunity to start a pathway of healing from the trauma of sexual violence,” Burke explained. Burke said she is survivor of sexual abuse as a child and sexual harassment as an adult. “As a young person who did not know how to navigate that experience, it became very important to me to have something that existed in the world that could change the trajectory of a young black girl’s life,” Burke said. The term #MeToo, which was coined by Burke in 2006, years before the movement gained international attention 11 years later when actor Alyssa Milano tweeted about sexual assault allegations against Harvey Weinstein. Burke went on to explain the movement and its growth throughout a decade. Jackson, the Women’s Center director, said Burke was chosen as the keynote speaker for the colloquium because she believes that her message should be brought to the college. Samantha Jones, a student at York, mentioned a quote that Burke used to a colleague, (in terms of social work dealing with victims of sexual violence), which Jones believed made an impact. Before stepping up stage to share her story about the #MeToo movement Burke spoke to Pandora’s Box about what she hopes to accomplish in the discussion. “My goal is the same everywhere I go which is to make sure people understand that the movement is not necessarily what they see in the media, and that everyone has a role to play,” said Burke.